Located just a couple of hours Southeast of Richmond and a little over 3 hours from Washington DC, the Virginia Beach area provides a Southern Beach feel with less than a day’s drive from most Northeastern areas. 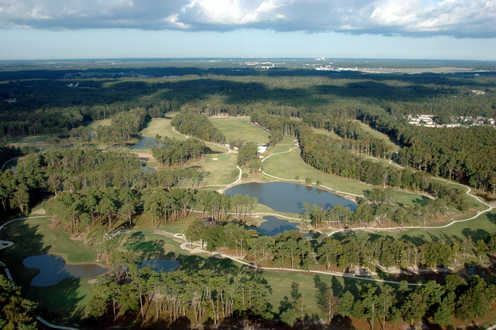 Virginia Beach has beautiful, championship golf courses so there is no need to drive any further south! To go along with great golf, the area also gives you incredible views of the Atlantic Ocean, a 3-mile boardwalk stretching along the oceanfront, beautiful, wide beaches, and a hopping nightlife! Spend your mornings on the links, afternoons on the beach, and evenings living it up on the strip. Virginia is also a popular vacation spot for all, not just golfers, thus providing you with lots to do outside of golf, by offering plenty of restaurants, lodging options, attractions, and more. Area attractions include historic parks, water sports, motor-sports, zoos, aquariums, and the world-renowned boardwalk just to mention a few. Virginia may not be as well-known as a beach golf destination as others, but should definitely be considered for your next golf vacation! 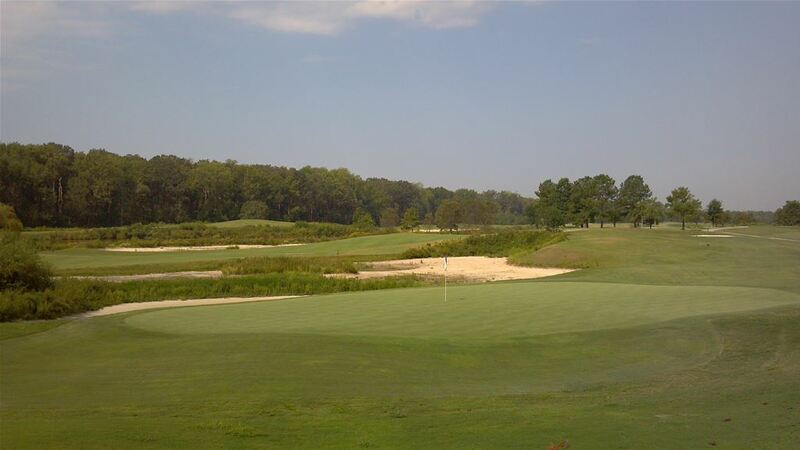 Heron Ridge is one of the finest, best kept and friendliest golf facilities in Virginia Beach. The course features 14 holes with lakes, wetlands, and water hazards among a setting of stunning Oak, Beech, and Elm trees. Heron Ridge is a terrific choice for you Virginia Beach vacation. Signature at West Neck created by Arnold Palmer is a beautiful course with picturesque views and dramatic landscaping including stone walls on the 11 and 18 greens. 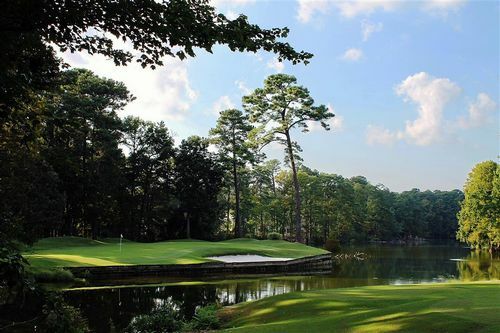 Enjoy the natural wetlands and beach bunkers of this fantastic Virginia Beach course. Virginia Beach National is the premier public course in the Tidewater Area and is host to Nationwide Tour’s Virginia Beach Open. With “tour quality” greens, natural grasses, waste bunkers and rolling fairways golfers will enjoy a day of top-notch golf. Cypress Point is a Tom Clark designed course with gently rolling terrain and some water in a very scenic setting. Cypress Point is located just minutes from Norfolk International Airport providing a country club setting in an urban area. Hell’s Point designed by Rees Jones is set in the heart of Back Bay Wildlife Refuge! Rated one of the 100 best designed courses in the country, Hell’s Point is a terrific addition to your Virginia Beach Golf Vacation. 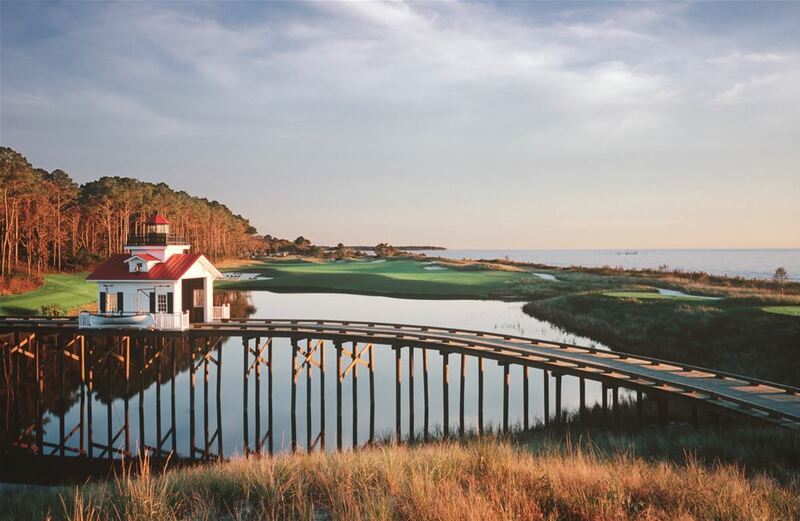 Take a journey over the famous Chesapeake Bay Bridge Tunnel to Cape Charles on the Eastern Shore to play beautiful courses designed by Arnold Palmer and Jack Nicklaus. Arnold Palmer Course at Bay Creek is nestled along the Chesapeake Bay at Cape Charles and boasts spectacular costal views. Featuring four holes on the shores of the bay, eight holes on Old Plantation Creek and several holes with framed by sand dunes and large beach bunkers, this famed Arnold Palmer course will delight golf lovers. 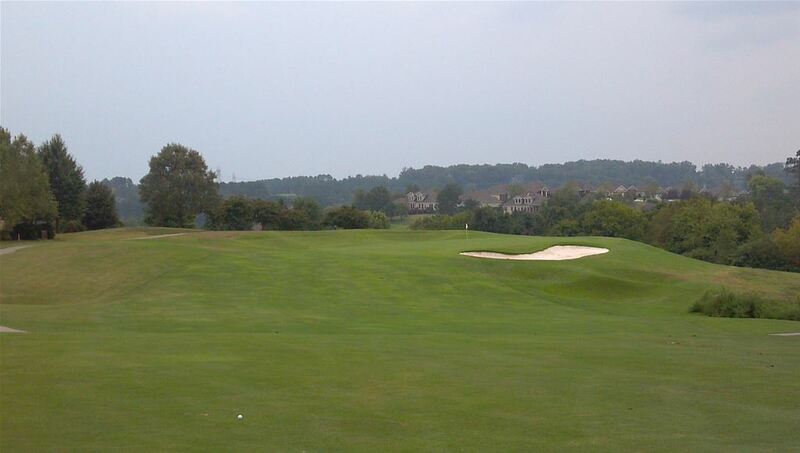 Jack Nicklaus Course at Bay Creek is ranked as the 8th best course in Virginia by Golfweek magazine. 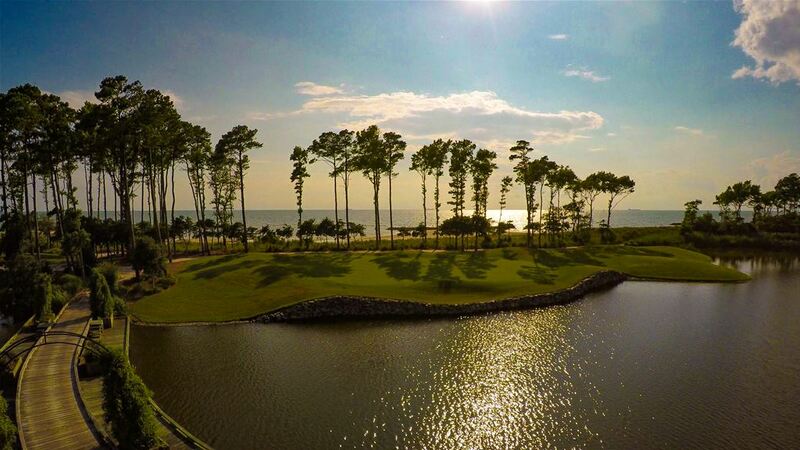 Golfers will enjoy breathtaking views of the Chesapeake By and Old Plantation Creek. This environmentally sensitive course features acres of dunes, mature trees, small well-protected greens, and water on several holes. Enjoy oceanfront lodging on your Virginia Beach golf vacation. We have several options for hotels that are walking distance to restaurants and nightlife. For larger groups accommodations can be at oceanfront condos. 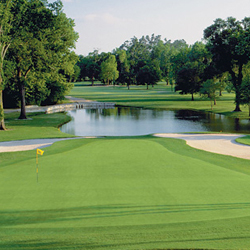 The Virginia Beach golf courses are all less than ten minutes from the hotels and condos. Our featured hotel is the Best Western Oceanfront which is situated directly on the most desired stretch of the boardwalk and offers stunning views of the beach and ocean. Be sure to start each morning at the hotel’s oceanfront restaurant, Shoreline Grill, with a complimentary full breakfast with choice of breads, cereals, fruit, hot eggs, breakfast meats, yogurt, juice, and coffee. Find Online Rates for Virginia Beach Golf Packages by clicking here. 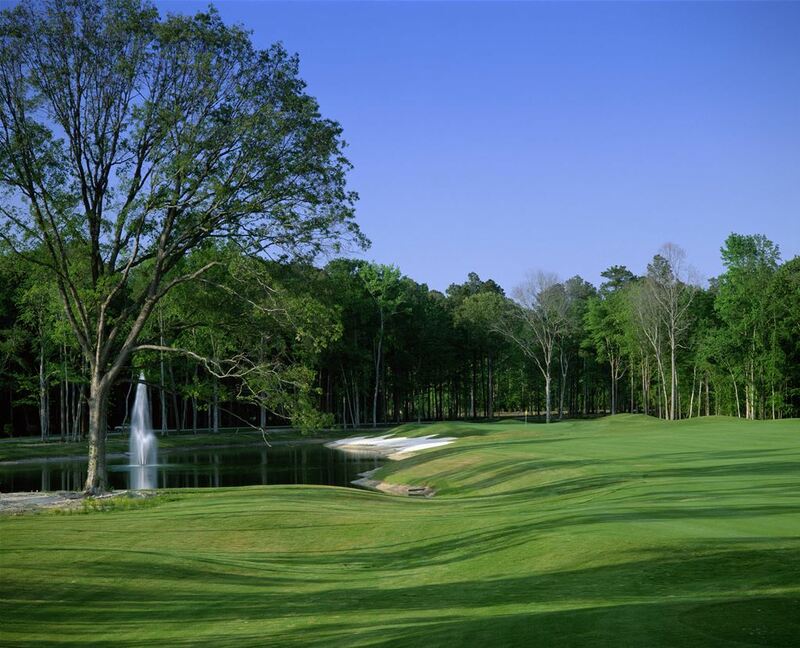 Request a Personalized Virginia Beach Golf Quote from our Golf Consultants by clicking here.